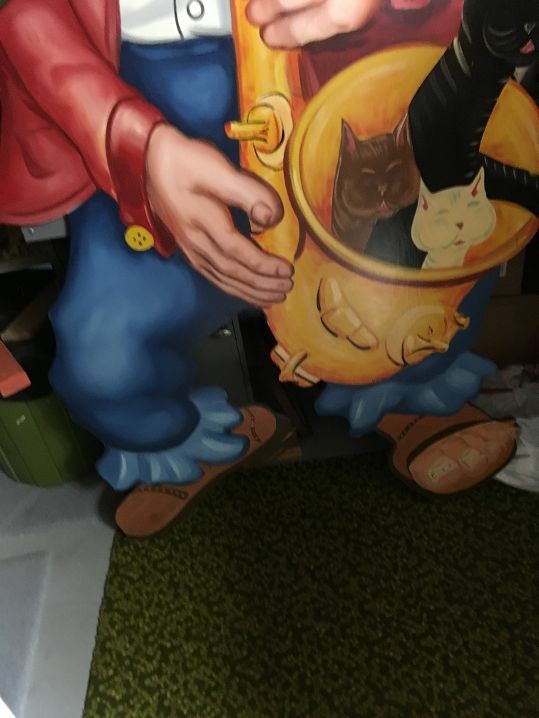 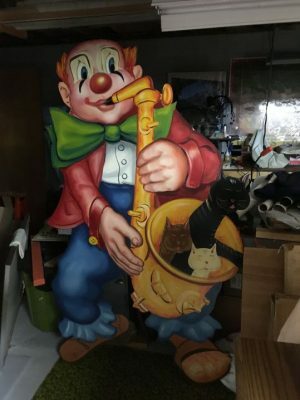 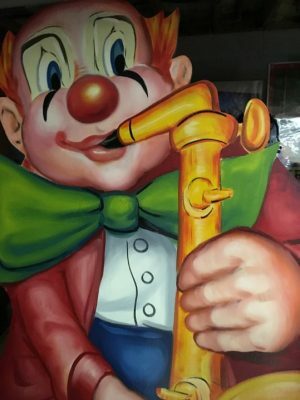 Vintage wooden Circus Clown playing saxaphone standee in as found condition. Bright colors with beautiful details. A child’s room delight………..